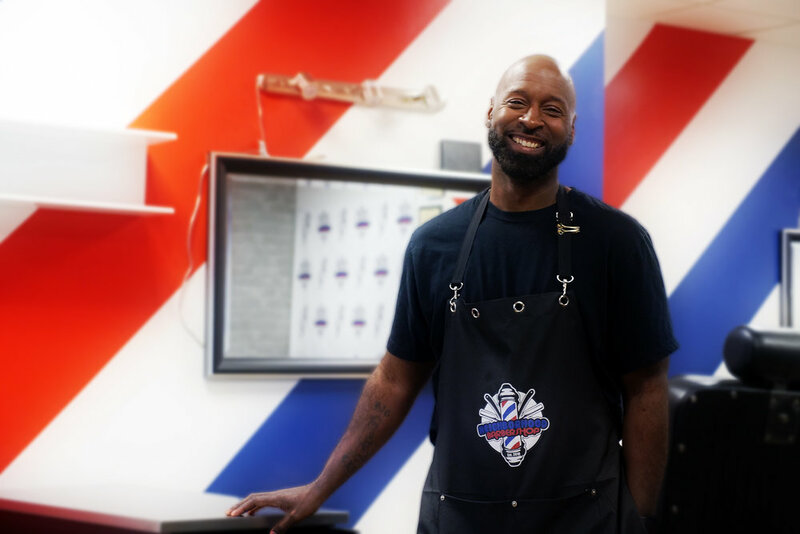 Last September, Cliff Doran reopened his East Side business, Neighborhood Barbershop, at its new location: on Payne Avenue. It took him a long time to get to opening day. Doran began cutting hair at Maplewood Mall more than a decade ago. He opened his first shop on Earl Street and moved to Maryland Avenue after five years. However, he was immediately unhappy with his new location and the poor maintenance being done, but had signed a three year lease. As soon as he could, Doran began looking for a new spot on the East Side, where he had built his clientele. Doran knew he wanted to be on a busier street, get more drive-by traffic. Payne Avenue and Arcade Street both had plenty of empty buildings, but the process to get into the spaces were long, difficult and covered in red tape. So when he finally got into a space, he got to work right away. He worked on getting approvals from the city and the Minnesota Board of Barber Examiners. Doran estimates he invested $25,000 in creating the space. He was finally able to open after three months of renovations. When you walk into the shop, you are immediately greeted with a sign that reads “Pull Your Pants Up.” This rule isn’t new to the new location, and Doran says even with the new sign, he still has to tell people. He said people have gotten up and left the shop when he’s told them to pull their pants up before. And he’s fine with that. Doran calls his shop his “fish bowl”. Whatever happens outside doesn’t come inside the shop. And he’s very strict about it. He’s banned customers for buying drugs or coming in while under the influence. Doran knows from personal experience. When the housing market crashed, he was working in the mortgage business. He knew he had to scramble to find a new career and, as a felon, found barbering to be his only choice. Since moving into his new space, he has been approached by other business owners to become involved in the local small business associations. He plans to do this, when he finally feels settled. Doran is proud of the new space. He recognizes that he is setting a precedence as far as quality and maintenance and space goes. He hopes to see other businesses along Payne Avenue follow suite. For more information or to make an appointment, visit their Facebook page.